Google bought Grand Central, and now it’s Google Voice. I think this is significant because it shows Google’s continuing interest in mobile voice communication. 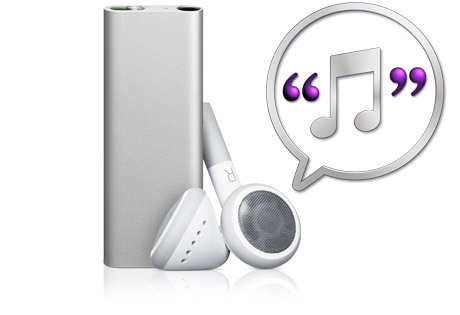 The new iPod Shuffle has a feature called VoiceOver. By pushing a button during a song, VoiceOver will tell you the name of the song and the artist without stopping playing the song. 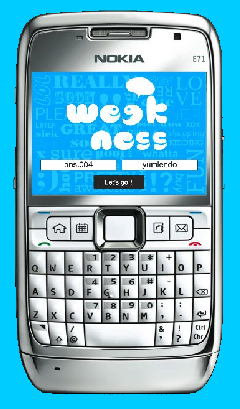 I just found out that Weekness, a game I developed with Rabia Malik and Yumi Endo, has won the Forum Nokia Mobile Game Competition! The ICU (International Telecommunication Union) has released the newest version of Measuring the Information Society - The ICT Development Index. It has all kinds of statistics about land line, mobile, and broadband penetration. The new edition also pays specific attention to the digital divide. Jordan Carver has been kind enough to let me use his Pigeon Typeface! Pigeon now allows you to remove contacts from your flock. Currently, you need to know the Pigeon number of the contact you would like to remove. In the future, it may also be nice to simply read out the names of a member’s contacts and say if that is the person they would like to remove. “Flock” language is also beginning to be integrated.